What's the difference between a Copyright, Patent and Trademark? How do you know if you need a copyright, patent or a trademarks? Although there may be some similarities among these kinds of intellectual property protection, they are different and serve different purposes. Feel free to read and learn more about Intellectual Property, or just Contact Us! What is a Patent? A patent is a limited duration property right relating to an invention, granted by the United States Patent and Trademark Office, in exchange for public disclosure of the invention. Generally, the USPTO will grant a patent for any product, process, article of manufacture, or anything else under the sun that is made by humans, if it is new, useful and non-obvious. How long does a Patent last? A patent typically lasts for 20 years from the date of filing. In some circumstances the patent may last longer, such as in the case where a provisional application is filed, or when a patent term adjustment is granted with an issued utility patent. Design patents, which protect the ornamental designs of products, last for 14 years from the date of issuance. What good does a Patent do? 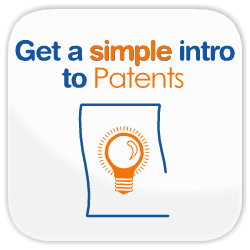 (1) Patents protect innovation: It can take a lot of time and resources to invent something new. A patent protects that investment by the inventor from someone who might come along, after all of the time, money, and hard-work was spent, and simply copy and mass-produce their invention. This safeguard encourages many individuals and industries to invest in research and development. Some researchers and inventors who wish to focus entirely on research, rather than on selling their products to consumers, can make a good living by selling rights to their patents, leaving them free to continue their intellectual innovation. On the opposite end of the spectrum, filing for a patent allows those who like "open-source" innovation to create a record of what's been done so that nobody else can wield "exclusionary powers" over their particular invention. (2) Patents protect start-up companies: Patents protect innovative companies of all-sizes, but they especially allow young, innovative, companies to compete where they otherwise might be crushed out of existence by large, well established companies. For example, several years after Alexander Graham Bell invented the telephone, the leading telecom company of the time tried to push the young start-up, "Bell Telephone Company" out of existence. Because of Bell's Patent protection, the "Bell Telephone Company" survived the attack and grew into what is now known as AT&T. By helping small companies compete and rise through the ranks, patents are the friends of entrepreneurs, small-businesses, and vibrant economies. (3) Patents are an archive for technology: Before patent systems existed, many technologies were guarded as trade-secrets. Historically, wars, disease, and other cataclysmic historical events wiped out huge populations, and with them, their specialized knowledge of trades and technologies. The patent system gives individuals an incentive to disclose their innovative secrets and create an archive of their technology which will remain and benefit future generations, well beyond the lives of the innovators. What is a Copyright? A copyright protects works of authorship, such as writings, music, and works of art that have been "fixed in a tangible medium of expression" - which basically means that the work must be recorded or written down somewhere. (1) If the work had one author, copyright protection lasts 70 years past the death of the author. (2) If the work had two or more authors, copyright protection lasts 70 years past the death of the last surviving author. (3) If the author is unknown, or if the work was made for hire, copyright protection lasts 95 years from first publication (when a "fixed" work is made available to the public) or 120 years from creation (whichever is shorter). What good does a Copyright registration do? 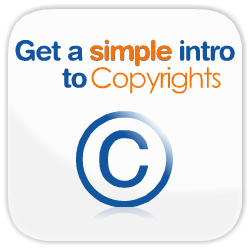 Copyright registration must occur prior to an infringement in order to give the maximum benefit. The main reason to get a copyright registration is that it grants access to special statutory damage awards. What is a Trademark? A trademark is a word, phrase, symbol, and/or design that identifies and distinguishes the source of the goods of one party from those of others. A service mark is a word, phrase, symbol, and/or design that identifies and distinguishes the source of a service rather than goods. 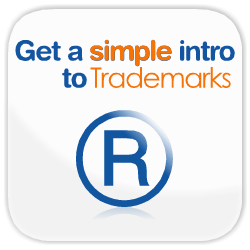 The term “trademark” is often used to refer to both trademarks and service marks. Trademarks are what help you know what to expect when you eat a cheeseburger from "McDonald's" and wash it down with a "Coke", whether you're in San Francisco, Chicago, or Shanghai.